You may register for a free trial of the LoadView service to test it out yourself. As this chart shows this site held up without degrading the performance under the load this stress test put on the web server. If you were testing out an more important website you may well wish to increase the load until you determine at what level the server performance starts to degrade. And then determine if that is adequate for your needs or if perhaps you wish to bolster the ability of the web site, or application to sustain larger loads. 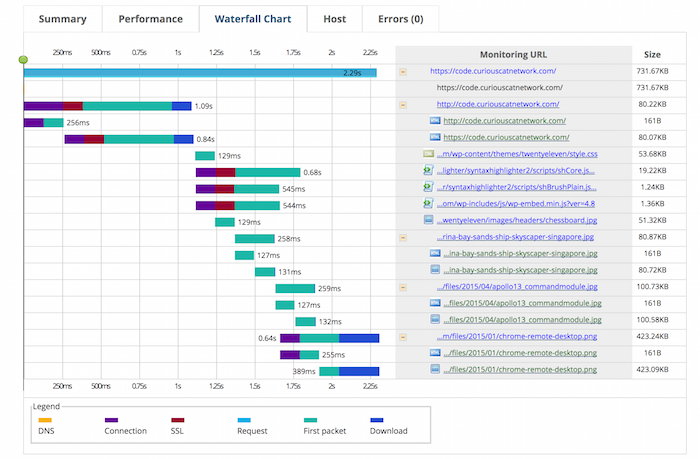 LoadView offers several additional reports to help you understand the performance of your web site. This image shows the time each page element took to load for each session. 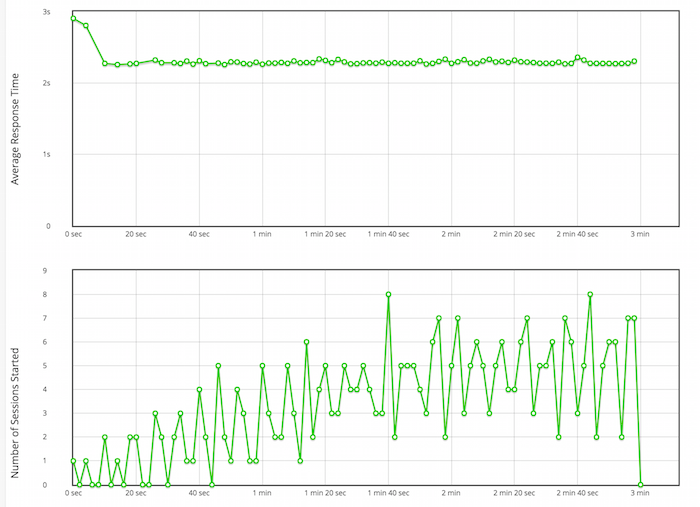 These might help you identify a bottleneck that wasn’t obvious until the server was under load. The LoadView service also offers many additional ways to focus your efforts on specific pages of your website or actions in your web application. You can specifically target elements for stress testing that you are concerned about. For this blog I tested the home page as it requires much more effort than just loading 1 blog post element (which is part of the reason the response time isn’t super quick). This entry was posted in server, software tools and tagged hosting, performance, system administration by curiouscat. Bookmark the permalink.